When chic staterooms transform into sprawling verandas with the push of a button, you know cruise lines are sparing no expense in creating extravagant interior designs. With over 100 ships in the orderbook, and countless more due for retro? tting, only the most lavish and luxurious interiors will suf? ce. 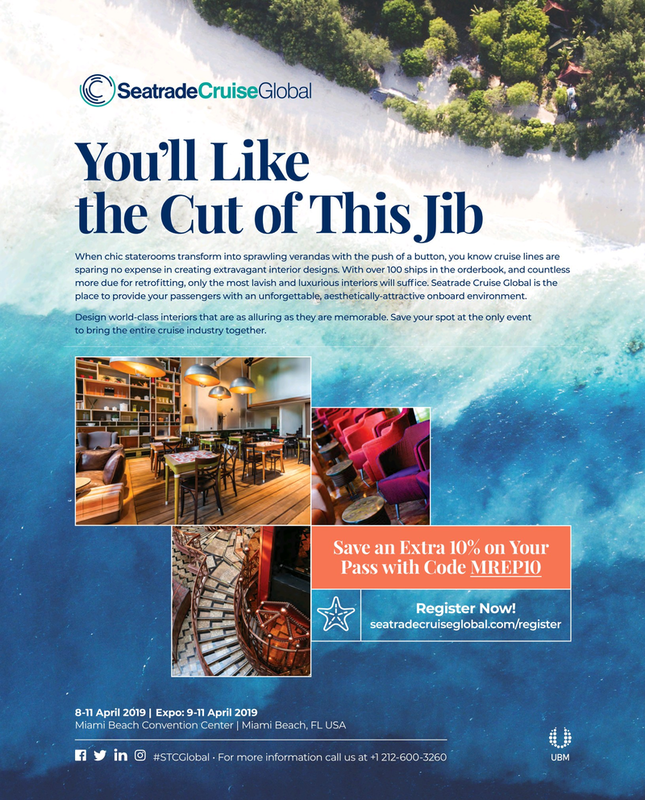 Seatrade Cruise Global is the place to provide your passengers with an unforgettable, aesthetically-attractive onboard environment. Design world-class interiors that are as alluring as they are memorable. Save your spot at the only event to bring the entire cruise industry together.